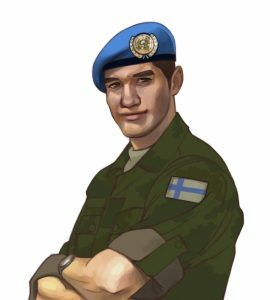 After the opportunity to play GAP Game, the day will be finalised with speeches by our guest speakers during Reception for Peacekeepers. 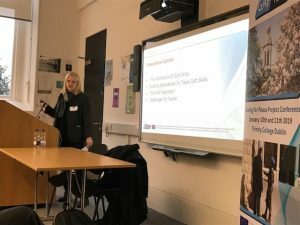 The course aims to increase the performance of future mission personnel when communicating and cooperating in a stressful environment, taking into account cultural diversity and gender aspects, and thus to enhance the effectiveness of the CSDP Missions and Operations as part of the EU Integrated Approach. The course is designed to ensure that deploying personnel are equipped with the necessary knowledge of the soft skills needed in the mission environment. 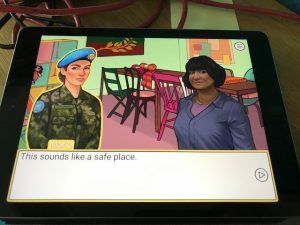 The training programme builds on the skills identified by the GAP project as relevant for conflict prevention and peace building (CPPB) personnel, and delivered in a digital role-playing game, with assessment. The residential part includes playing the role-playing 2D computer game as well as individual assessment and group work. 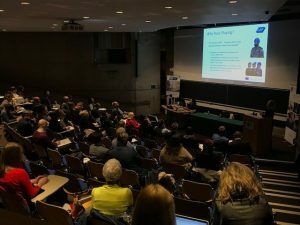 Participants will also have the opportunity to network, share views and perspectives with one another and with professionals in the field of CSDP. 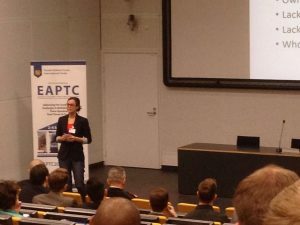 22 course participants are representing altogether 12 different nationalities coming from civilian, police and military domains working for peacekeeping and conflict prevention. Course provided a safe learning environment for deeper understanding of the soft skills, and an excellent opportunity to practice communication and cultural awareness in the simulated mission environment. 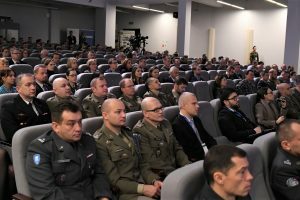 On November 22, 2018, representatives of the scientific world, diplomats and defence experts from over 50 countries met to discuss international cooperation in the framework of the NATO Science for Peace and Security Information Day that was organized at the War Studies University in Warsaw. The program this year celebrates the 60th anniversary. The last decade of its activity consists of almost 800 joint actions among 29 Member States and 41 partner countries – from the cyber defence in Jordan to humanitarian de-mining in Ukraine. 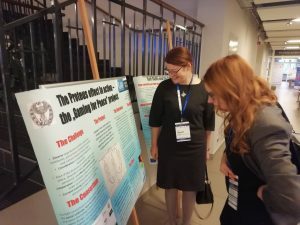 NATO program “Science for Peace and Security” (…) is to be a platform for dialogue between various expert and scientific environments and it will bring tangible benefits in the form of interesting and innovative products that may interested North Atlantic Alliance. It is difficult to provide a better context for similar discussions than a meeting at the War Studies University. University which is a natural environment for both, scientists and officers, who deal with security issues in their various dimensions and aspects on a daily basis. 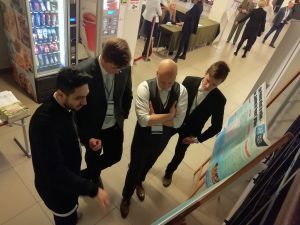 It was a perfect opportunity to be able to discuss our project and show it to specialists from the environment of scientific and economic entities, mainly related to the area of security and defence (military and civil research institutes, scientific institutions, military universities, companies associated with the Polish Armaments Group). 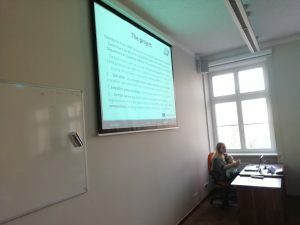 GAP representatives also presented the results of research conducted authorships Dr Valentina Trzcińska and Kamil Kuć M.A. 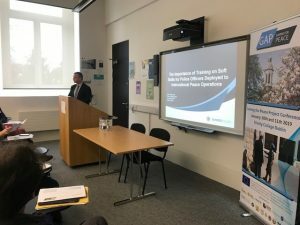 on the preparation for foreign missions by the Polish Police and the participation and preparation of other police and military contingents. The discussed issues of soft skills such as cooperation, communication and trust have been described in detail as the three most important pillars of work during the foreign mission. Multiple comparisons to family or everyday life have made it easier for listeners to understand why these soft skills are so important on a mission and during of the training. A small visualization and moving it to the level of the mission was enough to recognize these skills as the most important and the listeners stated that there should be a strong emphasis on these skills during the training. The GAP Game already exists with promising capacities to teach and learn soft skills in the peacebuilding context. Now soft skills training and assessment is possible through a role-playing computer game. 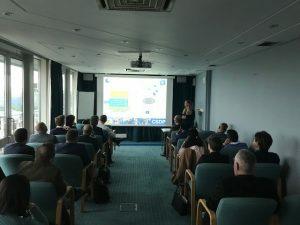 The past months our project experts and researchers have facilitated the evaluation of the GAP application’s constituent components in order to ensure that the game’s operational, educational, technical and specialist content is robust and relevant to end users in operational context. The community of end users critically assessed the content and usability of GAP Game. 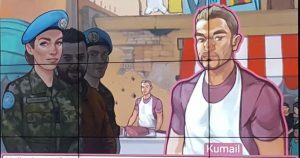 The training programme builds on the skills identified by the GAP project as relevant for conflict prevention and peace building (CPPB) personnel, and delivered in a digital role-playing game, with assessment. The residential part includes playing the role-playing 2D computer game as well as individual assessment and group work – as described in the course programme. Participants will also have the opportunity to network, share views and perspectives with one another and with professionals in the field of CSDP. Image: The Curragh Base Camp, Co. Kildare.